Obama’s inexperience is his most obvious shortcoming. Over the next four years, the world could face a genocidal civil war in Iraq, a wave of nuclear proliferation, more Islamic extremism and a demagogues’ revolt against globalization. Do we really want a forty-something in the White House? And yet in his new book, “The Audacity of Hope,” Obama makes a strong counterargument. He notes that it’s time to move beyond the political style of the baby boom generation. This is a style, he said in an interview late Tuesday, that is highly moralistic and personal, dividing people between who is good and who is bad. Obama himself has a mentality formed by globalization, not the S.D.S. With his multiethnic family and his globe-spanning childhood, there is a little piece of everything in Obama. He is perpetually engaged in an internal discussion between different pieces of his hybrid self — Kenya with Harvard, Kansas with the South Side of Chicago — and he takes that conversation outward into the world. He has a compulsive tendency to see both sides of any issue. Joe Klein of Time counted 50 instances of extremely judicious on-the-one-hand-on the-other-hand formulations in the book. He seems like the guy who spends his first 15 minutes at a restaurant debating the relative merits of fish versus meat. And yet this style is surely the antidote to the politics of the past several years. It is surely true that a president who brings a deliberative style to the White House will multiply his knowledge, not divide it. During our talk, I reminded Obama that at some level politics is about power, not conversation. He pointed out that he’d risen from nothing to national prominence in a few years so he knew something about acquiring power, but he kept returning to his mode, which is conversation, deliberation and reconciliation. Update: A common response to this column in the liberal blogoshere has been to argue against nominating Obama because people like David Brooks and Joe Klein are pushing him. While Obama has neither the experience or clearly stated positions to get my attention as a credible candidate yet, I do not agree with the counter-Brooks/Klein argument. Their opinion on a potential candidate does not alter my position either way. Any judgement of the quality of a candidate should be done based upon the person, not on what a couple of columnists have to say, pro or con. While I do not see Obama as Presidential material yet, we may have an interesting Warner vs. Obama race for the second spot on the ticket. This would explain why approval of Congress is down to 18% in the latest Zogby Poll, down from 24 three weeks ago. This is just slightly above their low of 17% in September. For the clinician in charge of the US study, Joseph Hibbeln, the results of his trial are not a miracle, but simply what you might predict if you understand the biochemistry of the brain and the biophysics of the brain cell membrane. His hypothesis is that modern industrialised diets may be changing the very architecture and functioning of the brain. We are suffering, he believes, from widespread diseases of deficiency. Just as vitamin C deficiency causes scurvy, deficiency in the essential fats the brain needs and the nutrients needed to metabolise those fats is causing of a host of mental problems from depression to aggression. Not all experts agree, but if he is right, the consequences are as serious as they could be. The pandemic of violence in western societies may be related to what we eat or fail to eat. Junk food may not only be making us sick, but mad and bad too. 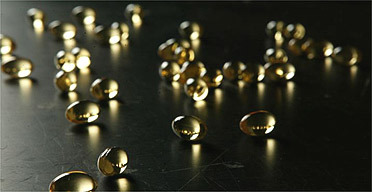 . .
Over the last century most western countries have undergone a dramatic shift in the composition of their diets in which the omega-3 fatty acids that are essential to the brain have been flooded out by competing omega-6 fatty acids, mainly from industrial oils such as soya, corn, and sunflower. In the US, for example, soya oil accounted for only 0.02% of all calories available in 1909, but by 2000 it accounted for 20%. Americans have gone from eating a fraction of an ounce of soya oil a year to downing 25lbs (11.3kg) per person per year in that period. In the UK, omega-6 fats from oils such as soya, corn, and sunflower accounted for 1% of energy supply in the early 1960s, but by 2000 they were nearly 5%. These omega-6 fatty acids come mainly from industrial frying for takeaways, ready meals and snack foods such as crisps, chips, biscuits, ice-creams and from margarine. Alcohol, meanwhile, depletes omega-3s from the brain. Besides the health implications, this also raises questions of whether those who commit violence are totally responsible for their actions, or if their actions are a consequence of a nutritional deficiency. Associated Press photo of the ceremony also shows a smiling First Lady Laura Bush and Dybul’s homosexual “partner,” Jason Claire. During her comments, Rice referred to the presence of Claire’s mother and called her Dybul’s “mother-in-law,” a term normally reserved for the heterosexuals who have been legally married. The Washington Blade, a pro-homosexual publication in the nation’s capital, was accurate on Friday when it predicted Rice’s remarks would “rais[e] the eyebrows of conservative Christian leaders.” Peter Sprigg, vice president for policy at the Family Research Council, says the secretary’s comments were “profoundly offensive” and fly in the face of the Bush administration’s endorsement of a federal marriage protection amendment, though that backing be less than enthusiastic. Sprigg says in light of the Foley scandal, “it’s inexplicable that a conservative administration would do such things.” He also notes that Rice’s comments defy an existing law on the books protecting traditional marriage. “So, for her to treat his partner like a spouse and treat the partner’s mother as a mother-in-law, which implies a marriage between the two partners, is a violation of the spirit if not the letter of the Defense of Marriage Act,” the FRC spokesman states.